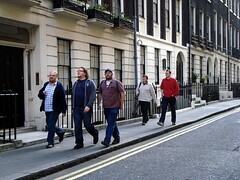 In October 2007 we did a Circle Line pub crawl for Bob's 30th birthday. All pubs except two were taken from the 2007 and/or 2008 Good Beer Guide. Bob did it on pints - and survived. Last edited 2009-07-04 11:12:00 (version 10; diff). List all versions. Page last edited 2009-07-04 11:12:00 (version 10).